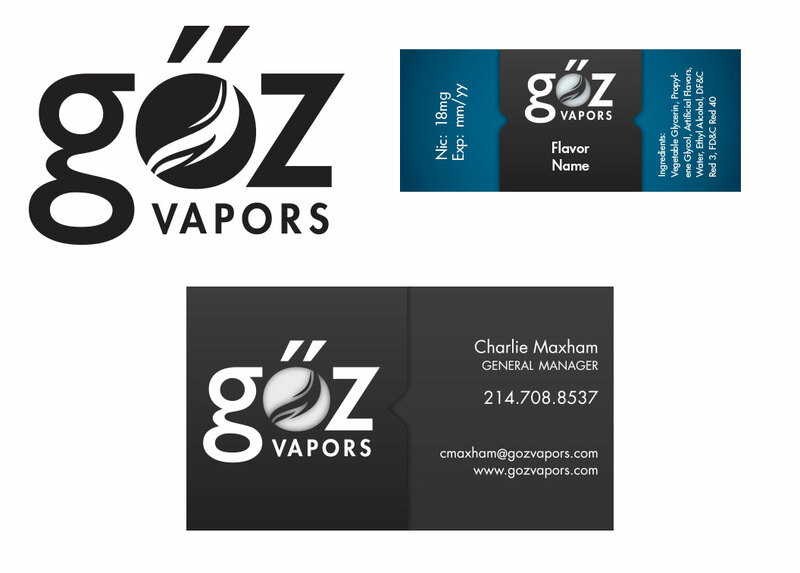 Brand identity for a vapor startup including business cards and bottle labels. She wanted something classy and unique. so the color of the "O" is whatever it happens to be resting on.